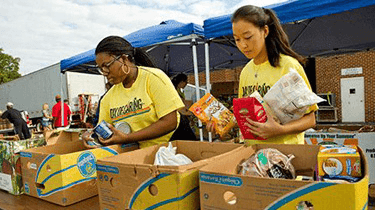 Harris Teeter invites you, our valued shoppers, to join us and United Way in the fight for education, health and financial stability of every person in our community. Each Fall, you can donate at checkout to benefit your local United Way chapter. One-hundred percent of proceeds will be given directly to the United Way chapter in your neighborhood to help your community members-in-need. Check out the below videos to see how else your donation helps! Brody is just one of the many children United Way has helped. United Way provides families and children with disabilities the resources they need to live a better life. 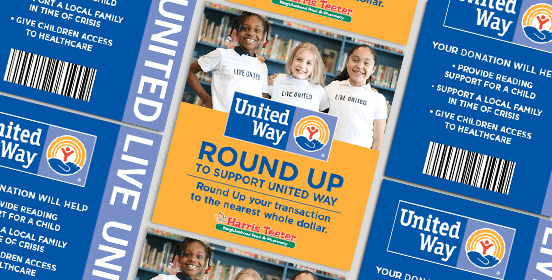 Donate to United Way at your local Harris Teeter now through September 30th. 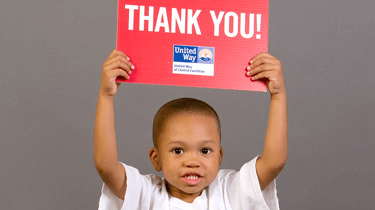 United Way helps children like Vaneta find a home and provides resources for a better life. Donate to United Way at your local Harris Teeter and help in the fight against homelessness.